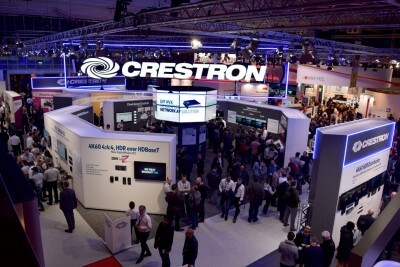 Integrated Systems Europe (ISE) is the largest AV systems integration show in the world. 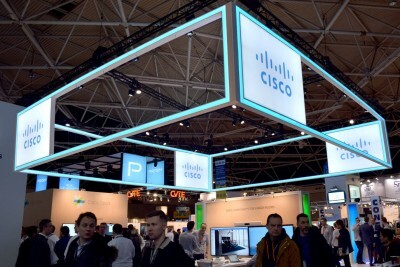 Held over four days at the Amsterdam RAI exhibition centre, ISE brings together the world’s leading audio visual and unified communications manufacturers. The 2018 show was the biggest yet with 80,923 attendees and 1,296 exhibitors. This year a new hall was added to the show (now 15 in total) to accommodate some of the 294 first-time ISE exhibitors. Each year a team from Cinos head to Amsterdam to meet with key partners, discuss our strategic plans and see the latest technology on the market. 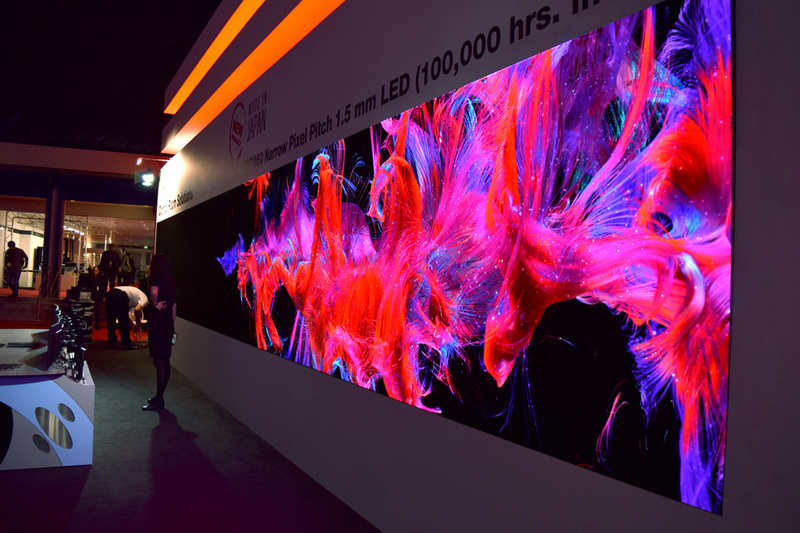 As we entered hall 2 of the RAI we could not miss the spectacular 11-metre-wide LED wall on the Mitsubishi Electric stand. We caught up with the guys to find out more. 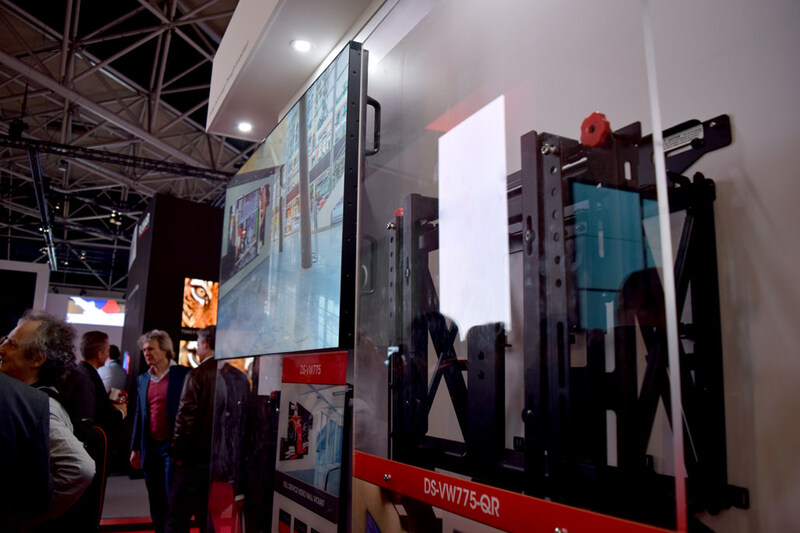 Mitsubishi’s Narrow Pixel Pitch (NPP) Direct View LED display, the first direct view LED display specifically created for control room applications debuted at the show. Designed in Japan, the VS-15NP160 comes with a patented anti-burn feature which allows graphics to be displayed for extended periods of time without affecting the LED performance or lifespan of the product. The display is rated for 100,000 hours of continuous operation and is a solution we will certainly consider for future command and control projects. 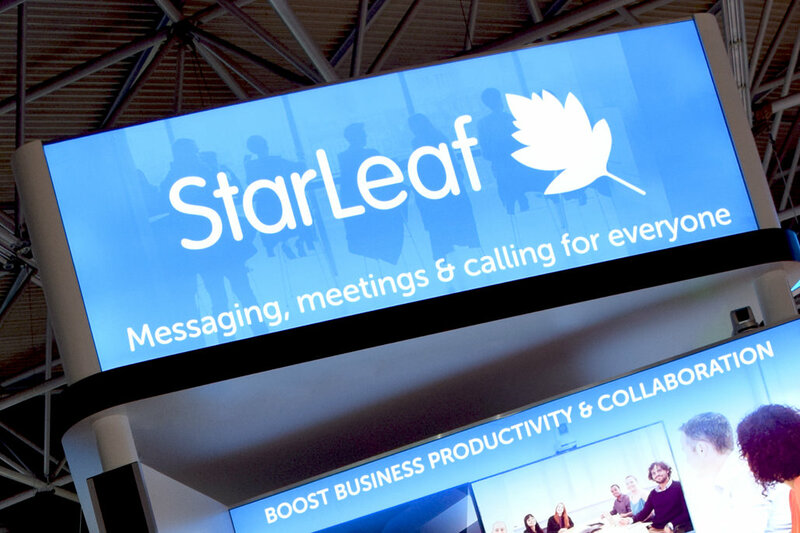 In the unified communications hall, we caught up with one of our newest partners – StarLeaf. 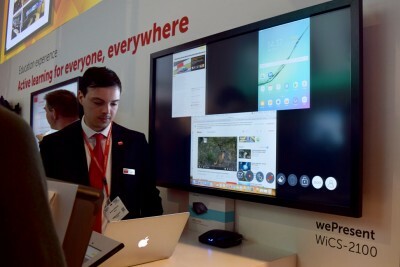 As part of the stand tour we were shown their new Skype for Business User Interface (UI). 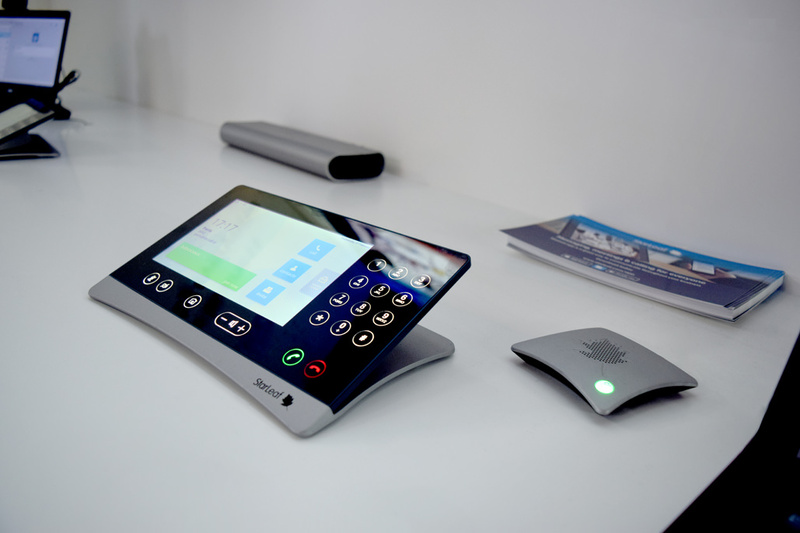 Designed to control their GTm 5140 and GTm 5250 Skype for Business endpoints, this streamlined UI is not only elegant in design, but with one command the user can bring the Skype for Business experience into the meeting room. There is no doubt this new UI interface will look fantastic in the modern meeting and its ease-of-use is sure to enhance the productivity of meetings. Interested in the solutions we saw at ISE? The new look kiosks were the main focus on the Peerless-AV stand where we caught up with Chalene Chandrasiri to learn more. 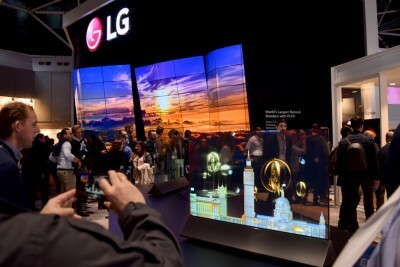 Their newest kiosk, the KIPICT555, was on show for the first time outside the US. With six simultaneous points of touch and a 9ms response time, the KIPICT555 is ideal for audience engagement in public spaces such as airports, hotels and retail spaces. The solution is powered by BrightSign digital signage, enabling administrators to design and publish interactive content for uses such as wayfinding, entertainment and digital advertising. With an elegant design, slim frame and a small footprint we will no doubt being seeing more of the KIPICT555 in public spaces. Whilst it is impossible to include everything we saw and everyone we met, we would like to extend our thanks to Joel Chimoindes at Tech Data for his hospitality and stand tour. We’d also like to thank AV furniture manufacturer TOP-TEC whose Synergy Blade Collaborative Table is likely to be a real hit in commercial spaces. Furthermore, we wanted to give a mention to Biamp whose new additions to the Tesira range offer the best audio quality and finally, Datapath for talking us through their next generation video wall controller series. If you would like to learn more about these products or anything from ISE please get in touch with our team who would be happy to help. 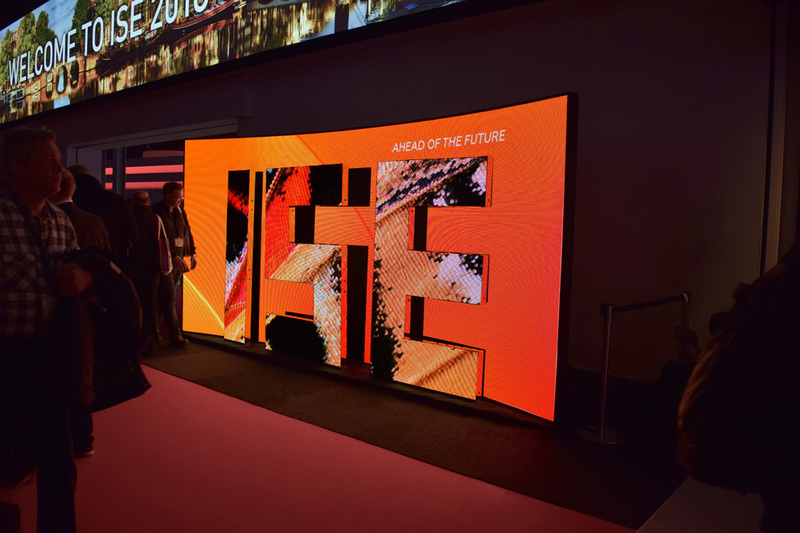 To read our extended highlights of ISE 2018 please follow the links below.